Just because legal LGBTQ weddings are a new concept doesn’t mean queer folks haven’t been having ceremonies and celebrations of love for a long time. Our archives include gay, lesbian, trans, queer… a range of identities, all lookin’ sharp and getting married. Representation matters, and we’re happy to bring you LGBTQ weddings from desert elopements to luxe affairs that held nothing back. 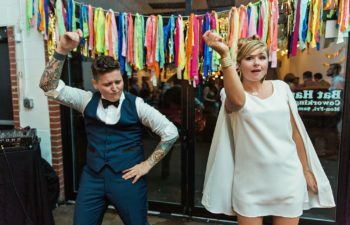 There’s tons of gay and lesbian wedding ideas and traditions (both old and new!) to check out- from crystal altars to conga lines to cubist cake. 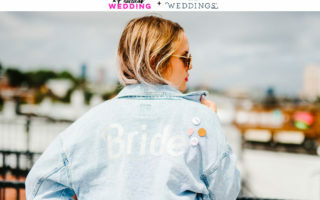 We’ve got all the LGBTQ wedding inspiration you’re going to need.